Teacher to Alexander the Great and Plato’s pupil, Aristotle, is in some ways a more important educational theorist and philosopher than Socrates or Plato. His work has resonated down the ages, and although we have only fragments from his book On Education, we have enough secondary evidence to piece together his theories on the subject. Like Plato, founded a school, the Lyceum but his teaching ran counter to Plato’s love of abstract reason, as he did not believe in a transcendental system of Forms, Aristotle introduced a more empirical approach to theory and learning with more emphasis on the physical sciences. Of course, much of his science is wrong, and his idea of purposefulness wrong headed, but he set us on a path towards investigation, observation and knowledge, based on experience, that would prove to be a positive legacy over the last 2000 years. As a proponent of the Greek ideal of an all-round education he recommended a balance of activities that train both mind and body, including debate, music, science and philosophy, combined with physical development and training. This ideal has had a profound influence on the West’s idea of education and schooling. Character and ethical behaviour was also important, extolled through his theory of the Golden Mean (everything in moderation). Modern schools and universities have, to a degree, this classical ideal in their core values. Despite his position as one of the World’s greatest philosophers, he showed great concern for practical and technical education, in addition to contemplation. He would be genuinely puzzled by our system’s emphasis on theory rather than practice. Learning by doing was a fundamental issue in his theory of learning. 'Anything we have to learn to do we learn by the actual doing of it...’ he says, echoing many a modern theorist. This is not to forget theory and theorising, only to recognise that education needs to be habitually reinforced through practice. Not that we should read too much into this, as he, like Plato, still had an essentially elitist view of education, with vocational training an activity for the lower classes. To be moral one must behave morally but also be informed by reason. This is interesting, as Aristotle recognised that one can teach young people to be moral without them having to understand why. He seemed to understand that altruism was built-in and that teaching by example was fine, only later do we engage in reflection on why this is so. Music education was of particular interest for Aristotle, and Plato. He saw it as an important educational technique, a builder of character and good for the soul, as well as a useful pastime. You learn how to recognise and control the different hues of emotion. To be clear, he meant learning how to play a musical instrument and sing, not just listening music. Education was for Aristotle a fundamental activity in life, an intrinsic good and should not be seen as instrumental. ‘Better a philosopher unsatisfied, than a pig satisfied’ to quote his peer and contemporary, Plato. And this philosophical view of education is one of his main concerns. Education is not the mere transmission of knowledge, it is a preparation for participation in a fulfilled life that reflects and acts on ethical and political grounds. It is as much about rights than getting things right and should be state controlled until 21, then continue for the rest of one’s life. Yet another Greek, lifelong learner. The schism between Plato and Aristotle, theory and practice, teaching and research, humanities and science, lives on in our curricula, schools and Universities. 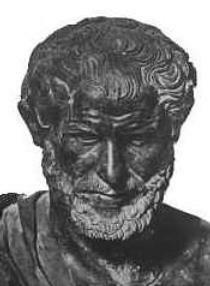 Aristotle, in the western tradition was the first to break with philosophical reasoning as the primary approach to education. However, his theories, along with those of Plato, also gave rise to scholasticism that was to send the search for knowledge and education into more than a millennium of decline. It wasn’t until the Renaissance and subsequent Enlightenment that recovery was possible. Nevertheless, Aristotle remains a towering figure and we have somehow recovered components of the Greek ideal through this Renaissance recovery to build educational systems that recognise this legacy. Aristotle The Nicomachean Ethics, London: Penguin. (The most recent edition is 1976 - with an introduction by Barnes). Aristotle The Politics (A treatise on government), London: Penguin. Barnes, J. (1982) Aristotle, Oxford: Oxford University Press. Good introduction. Howie, G (ed) (1968 Aristotle’s on Education, London, Collier-Macmillan. Jaeger, W. W. (1948) Aristotle, Oxford: Oxford University Press. The authoritative text.